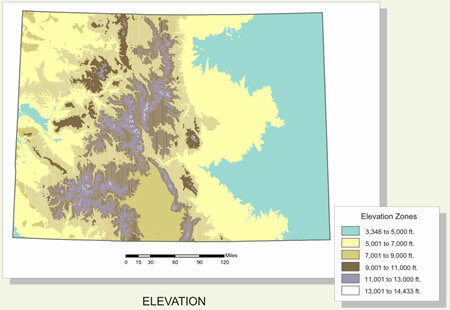 Looking at the five maps, why do you think the Colorado Piedmont region has a higher elevation than the Great Plains? What effect do rivers have on the elevation? Explain your answers using the map for support.